10,000 BC – The dry valleys, ridges and escarpments of the Eastbourne Downland were formed by glacial action during the Ice Age. The chalk of the cliffs, however, was formed over a period of 30 million years when a warm sub tropical sea covered the area, between 95-65 million years ago. The shells of billions of microscopic planktonic algae formed a deposit which eventually hardened into layers of white rock a thousand feet thick. This has since been uplifted due to continental movement and subsequent erosion has created the Downs seen today. 8,000 BC – End of Ice Age as temperatures increase. Sea levels rise and flood a valley to form the English Channel, enabling the sea to flood through to the South Downs. Marine erosion of cliffs begins. Mesolithic hunter gatherers explore the region. 4,000 BC – Neolithic Man attracted to the well-drained chalklands of the Eastbourne Downs which offer fertile grounds for crops. The area is gradually cleared of wild wood for grazing & crops. Flint tools from this period have been found in the area and there is a Neolithic causeway camp on Combe Hill upon the Northern Escarpment. 2,000-1,500 BC – Bronze Age peoples clear woodland to create space for settled agriculture – evidence of hut sites and domestic pottery found near Belle Toute. Numerous burial mounds, ’round barrows’, are located upon the escarpment ridges. 600 BC – New, Iron Age settlements indicated by numerous field banks in area, particularly at Bullock Down and near Jevington. 50 BC – Romans take control of south east England. Increasingly efficient farming – remains of Roman farm found on Frost Hill. 400 AD – Romans leave Britain. Eastbourne Downland used for grazing. 1250 AD – Medieval farms and settlements established. Circa 1691 – Petitions were made for a lighthouse to be erected due to the number of shipwrecks occurring along the dangerous stretch of coast around Beachy Head. 1828 – Funded with contributions by John ‘Mad Jack’ Fuller and overseen by Trinity House a wooden lighthouse was built on top of the cliffs at the position of Belle Tout. It came into operation on 1st October 1928. So successful was this temporary structure that it was agreed to build a permanent lighthouse in its position. 1831 – W Hallett and J Walker began their design for the new lighthouse. 1832 – Construction began on the lighthouse using Aberdeen granite and local limestone. On the 11th October the lighthouse came into operation. The light from the 30 Argand lamps threw a light 22 miles out to sea. The location of the lighthouse was carefully planned so that the light would be obscured by the edge of the cliff if sailors were too close to the shore. 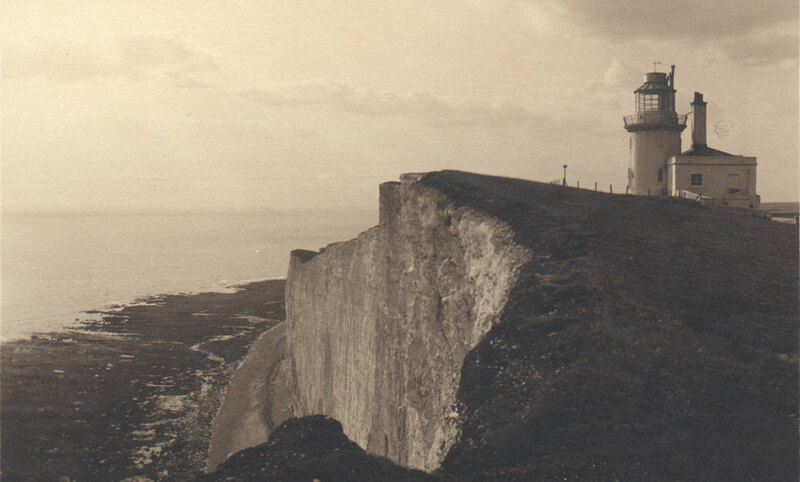 Over the years erosion of the cliff reduced the effectiveness of the lighthouse and cracks began to appear in the chalk cliffs in front of the lighthouse. Trinity Lighthouse realised they needed to do something so plans were made for a new lighthouse – The Beachy Head Lighthouse. 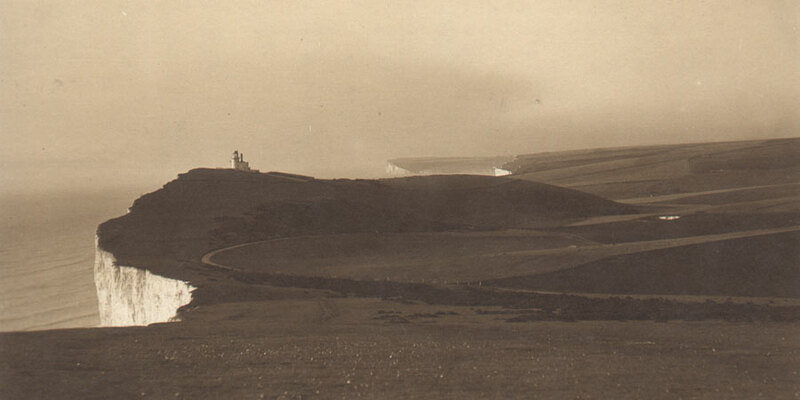 1902 – The Belle Tout lighthouse is decommissioned. 1903 – Trinity House sold the Belle Tout Lighthouse. It was first a tea shop and then changed hands a number of times. 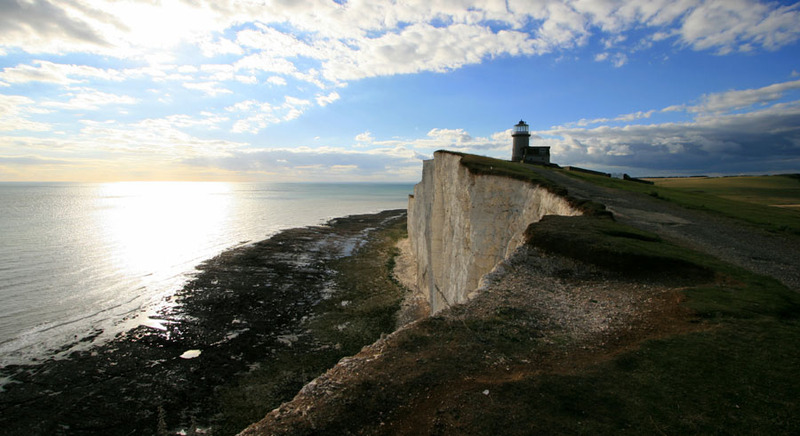 1923 – The Belle Tout Lighthouse is bought by a London surgeon, Sir James Purves-Stewart. He carried out significant modernisations to the building, including an additional story, garages, electricity and Artesian well. 1939-1945 – During the Second World War, Sir James and his wife were evacuated. Canadian troops stationed nearby at the Belle Tout gunnery ranges practiced their gun fire on the lighthouse significantly damaging it. 1948 – Sir James offered the building to the council and eventually they took it over due to its historical significance. 1956 – Belle Tout was leased out to Dr Edward Revill Cullinan. Plans were drawn up for its renovation by his son Ted and the whole family carried out the renovations using their own hands. 1962 – The lease was sold and changed hands a number of times. 1980 – Noel Davison considered the Belle Tout to be a wonderful inspiration for his writing and lived there for six years. 1986 – The lighthouse was bought by the BBC who considered it an idea location for the set to be used in the making of Fay Weldon’s “Life and Loves of a She-Devil”. 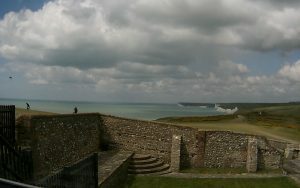 1996 – Belle Tout was bought by Mark and Louise Roberts to use as a family home. 1999 – Due to continuing erosion threatening the future of the building the lighthouse was moved 17 metres (56 feet) back from the edge of the cliff by the impressing engineering work of Abbey Pynford. 2007 – The Roberts’ put Belle Tout up for sale with the guide price of £850,000. 2007 – The Belle Toute Lighthouse Preservation Trust was formed to preserve and protect the lighthouse and open it to the public, provide bed and breakfast accommodation and maintain it for future generations of visitors to enjoy. 2008 – Belle Tout was purchased in April by David and Barbara Shaw with the intention of opening it to the public as a hotel. 2010 – The Belle Tout Lighthouse opens its doors in March to guests. Extensively refurbished, renovated and decorated the Belle Tout offers very comfortable accommodation to a very high standard, a delicious breakfast and remarkable 360 degree views from the lantern room. 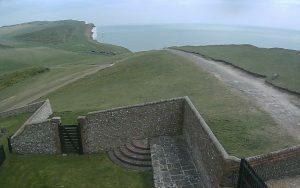 The Belle Tout Lighthouse is a truly wonderful place to stay. Find out more about staying at the lighthouse on the official Belle Tout website.